Hello ... Hello ... my old friends ... It's great to see you once again! 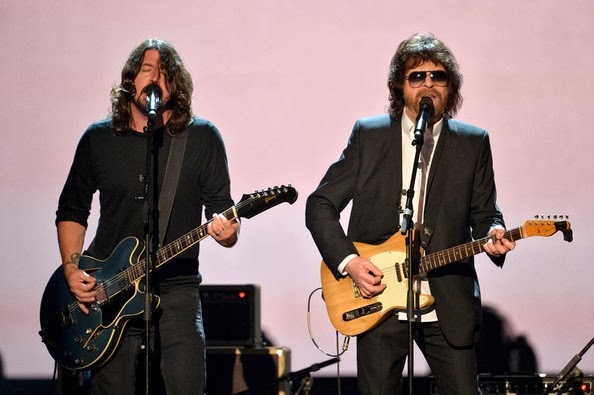 ELO maestro Jeff Lynne was joined on stage by Dave Grohl, Dhani Harrison and Joe Walsh and not a few other iconic music and entertainment industry celebrities at The Night That Changed America: A Grammy Salute To The Beatles on Monday 27th January at the Los Angeles Convention Center.